The multi-purpose form must be completed online. If you need to apply for more than one Certificate then you will need to complete a separate form for each one. Once completed, it is necessary to print out the form and then take it to one of the approved Post Offices around the country. AMSA1119.pdf (198.68 KB Wed Oct 11 11:40:56 2017). How would a new-entrant applicant for Electro Technical Officer (“ETO”) training ever get the qualifying sea service required in order to be issued with an ETO Certificate of Competency? We have enough trouble trying to obtain seatime for Watchkeeper applicants under existing Cadet/Trainee arrangements, but which ship-operator is prepared to put on an additional person as an ETO-in-training for the 6 months required by the Current Marine Order 72 text? Four AIMPE members, all of them Electricians, did the ETO training course at AMC, which takes up to 2 years to try to turn students into an ETO, and all 4 consider the course to have insufficient practical training unless the applicant were already an Electrical Tradesperson or Marine Engineer. One of the 4 decided that as he was already doing half of the Watchkeeper subjects as part of his ETO training, he may as well do ALL the Watchkeeper subjects and as he already had all the sea service he needed, be issued with both ETO and Watchkeeper certificates of competency. This is an important development because the biggest problem facing a graduate of that ETO course would be how to acquire the qualifying sea service on a vessel with at least 750kW total electrical generating capacity….and if one cannot get that service then the time and expense of that study will never result in issue of an ETO Certificate of Competency. A qualified Class 1, Class 2 or Watchkeeper can go back to college and do a few more subjects and get an ETO certificate. The real advantage of these clarifications will be realised if vessel-operators join with AIMPE in promoting COMBINED ETO/WATCHKEEPER Cadet/Traineeships, even though the study period will be a little longer than doing only one. The vessel-operator will gain the services of a dual-qualified ETO/Engineer, and the industry gains a combined ETO/WK pathway to deliver the seaservice needed in order for an ETO qualification to actually be issued. And, just to confuse you, AIMPE has produced a diagram showing all the engineering entry points and pathways, now including the ETO qualification. So, if you know of someone who was thinking of becoming a new-entrant ETO or new-entrant WK Trainee or Cadet, speak to them about the advantages of doing both at the same time. And if you are a vessel-operator and you would like to know more please contact me to discuss. or one of the alternative options set out in Schedule 4 of Marine Order 72 (Marine Engineers). 3) Advanced Fire Fighting (STCW Code A-V1/3) [AIMPE Note: if you have proof of completing this anytime previously you DO NOT have to do the full course again, but MUST do a Refresher Course]. We understand that most colleges have arrangements to provide the Refresher Course for item 2) Survival & item 3) Advanced Fire in a combined 2-day course. But as you can see those quoted words are text from the MLC, NOT the STCW, so are not an STCW requirement and, so far, are not reflected in Marine Orders. Accordingly the legal position is that your Medical First Aid Certificate, once achieved, remains valid. I hope this assists members. "News & Alerts - Latest News"
In 2012 AIMPE fought against a proposal to introduce a revised Marine Order Part 3 relating to Marine Qualifications. AIMPE saw the proposal as a threat to the standards of Marine Engineer Qualifications. The draft MO3 would have removed vital pre-requisites, reduced the length of training dramatically and eliminated the important final standard assurance measure of the Oral examination. AIMPE lobbied hard across the Federal Parliament - and remember in 2012 the Federal Government (ALP) was a minority government. With support from key cross bench MPs AIMPE was believed the numbers were there to defeat the proposed MO3 on the floor of the House of Representatives. The government believed it too and they withdrew the proposed MO3. Subsequently in 2013 AIMPE proposed a separate Marine Engineers Qualifications Bill - see below for details. Ultimately this was not passed by the Parliament. Below you will find documents relating to the Marine Engineers Qualification Bill and related MO3 & MED and Class 3 issues. 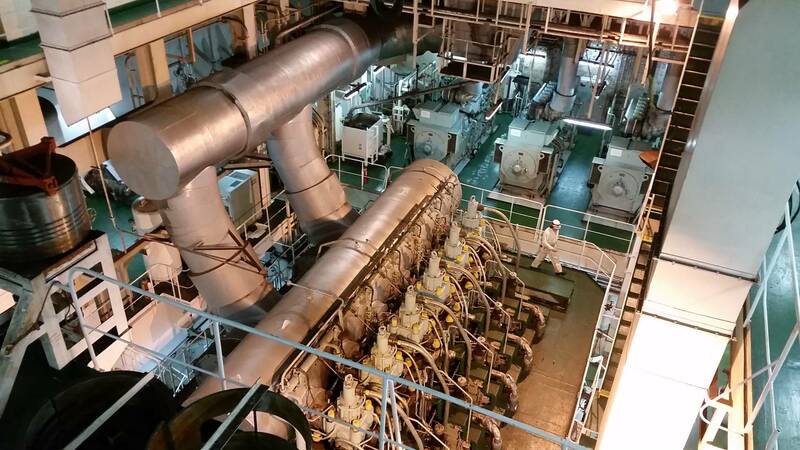 Have completed at least 12 months documented sea service as an electrician performing electro-technical officer duties on ships with total installed electrical generation capacity of at least 750 kW. (Note: above the courses are mandated by the STCW Convention and Marine Order 72. Some existing electricians holding a certificate of safety training may not hold a security awareness endorsement which is now a mandatory requirement – this course can be completed on line from an AMSA approved college). (Note: above the course are mandated by the STCW Convention and a requirement of MO72). (Note: this is a mandatory requirement of STCW Convention and MO 72). AIMPE's Position Paper (published 30 April 2013) for MED to Class 3 to Watchkeeper can be viewed here: MED & Class 3 Engineers: OUR Future (186.77 KB). ·enabling an AMSA E.C.3 holder to be considered for direct entry into the Engineer Class 2 oral exam if they have completed the E.C.2 subjects, have an APPROVED Trade and 24 months sea service with the STCW E.C.3 certificate. AIMPE has approached AMSA requesting them to create a BRIDGE to Watchkeeper for Class 3 holders without a Trade who can demonstrate (e.g. letter from company) 30 months of qualifying sea service MAINTAINING + operating on vessels above 750kW whilst holding Engineer Class 3.
zIf rather than the Class 3 workshop modules the applicant did the Watchkeeper-level workshop [competencies from Cadet-course] before this 30 months experience in lieu of a Trade then the 30 months period could be reduced to 24 months. If the qualifying sea service meets the Watchkeeper qualifying sea service requirements a candidate who meets the above could gain entry to the Watchkeeper course and may require no further seatime before sitting the AMSA Orals for Watchkeeper. Explore with AMSA their willingness to shorten to 18 months the experience requirements in our proposed BRIDGE to Watchkeeper for AMSA/STCW Class 3 holders with a non-approved Trade. Explore with AMSA their willingness to also create a BRIDGE to Class 2 for AMSA/STCW Class 3 holders with an approved Trade.